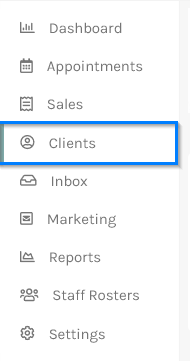 Click on the Client option in the side menu nd select a client you wish to SMS. You can choose a template or simply start typing a text message in the The SMS message to be sent field. Remember this is limited to 120 characters. You can also preview your SMS message by typing in your number in the The test mobile number field and clicking Send Preview SMS. To send the SMS simply click the Send SMS(s) button. 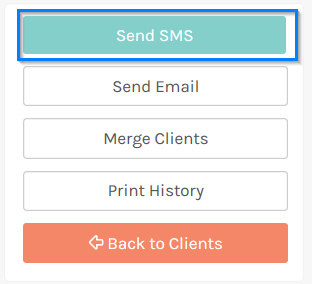 What if you want to send an SMS to all your clients, simply use our SMS Marketing feature.